Initially, Eco-Kare worked with partners to install temporary geo-textile fencing along 4 identified hotspots on Highway 7 in 2013. 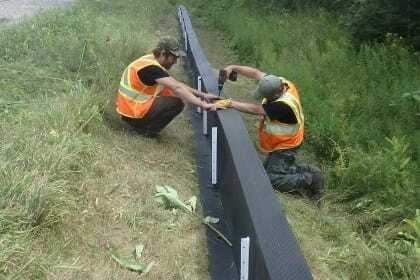 Since then, Eco-Kare partnered with Animex fencing to install 1 km of permanent fencing at the primary hotspot near Madoc, Ontario. 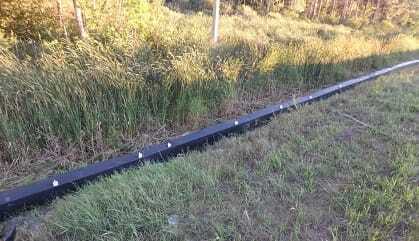 This site is targeting a reoccurring road-kill section of Highway for Blanding’s turtles. 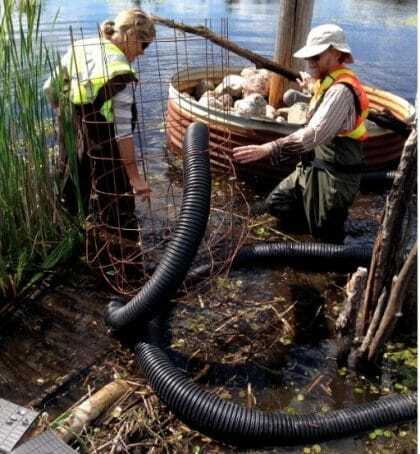 In 2016, only one turtle, Blanding’s turtle, was found dead at the southern fence end. The Animex fencing is undergoing a phase 2 installation trial that accounts for snow loads and extremely hot summer conditions. 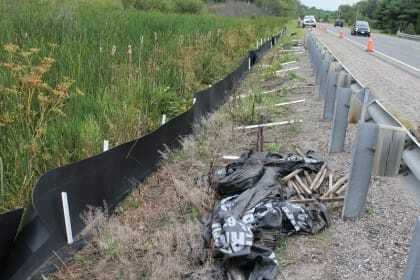 Replacing temporary geotextile wildlife exclusion fencing with permanent Animex fencing. 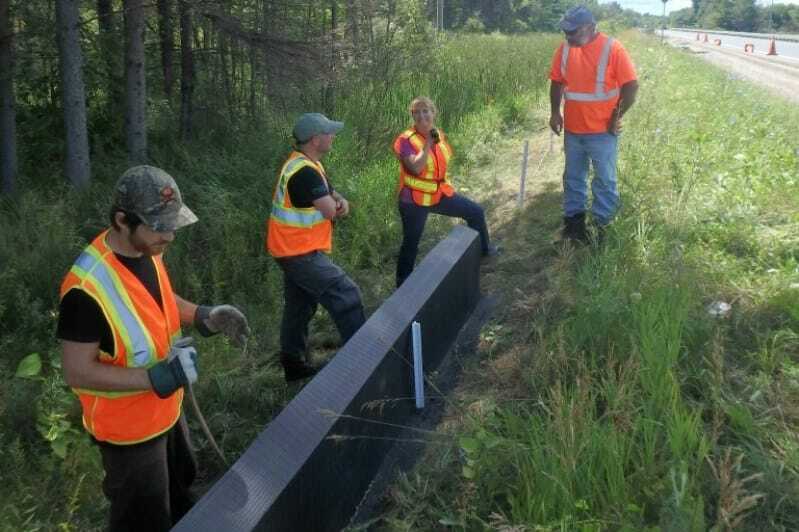 Consultation with the MTO and maintenance contractors during fence installation. 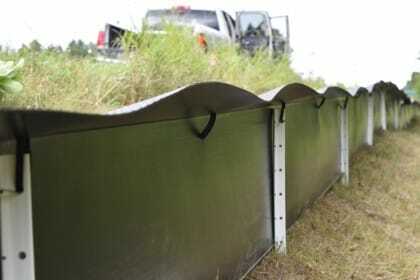 A view of the safe-side of the fencing, highlighting the smooth surface and angled lip to prevent fence breaches. An eastern gartersnake uses the jumpout integrated with fencing. 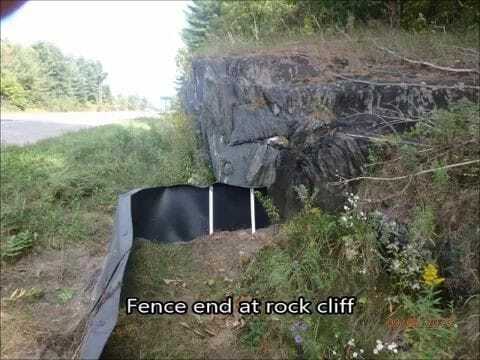 Fence end ties into a Canadian Shield rock to prevent breaches. 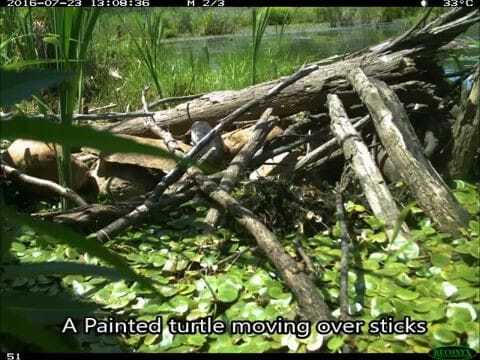 Also in 2016, a combined pond leveler-diversionary dam-exlusion fencing system was implemented at the drainage culvert; preliminary results have shown a beaver has worked on the dam, one Painted turtle moved into the area near the culvert. 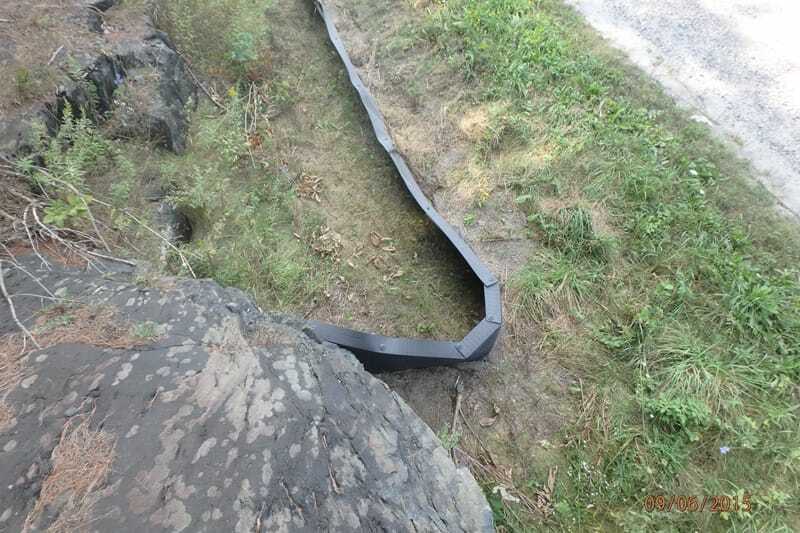 A new upsized drainage culvert (1200 mm) is being installed at the site in spring 2017. 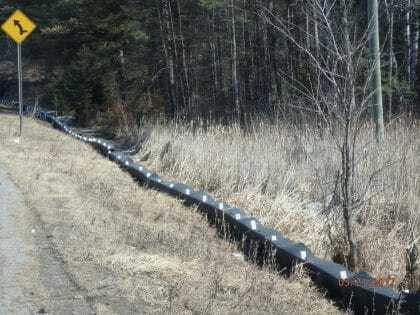 At this point retro-fits will be applied to the beaver exclusion-pond leveler system with the help of Mike Callahan at Beaver Solutions.com . 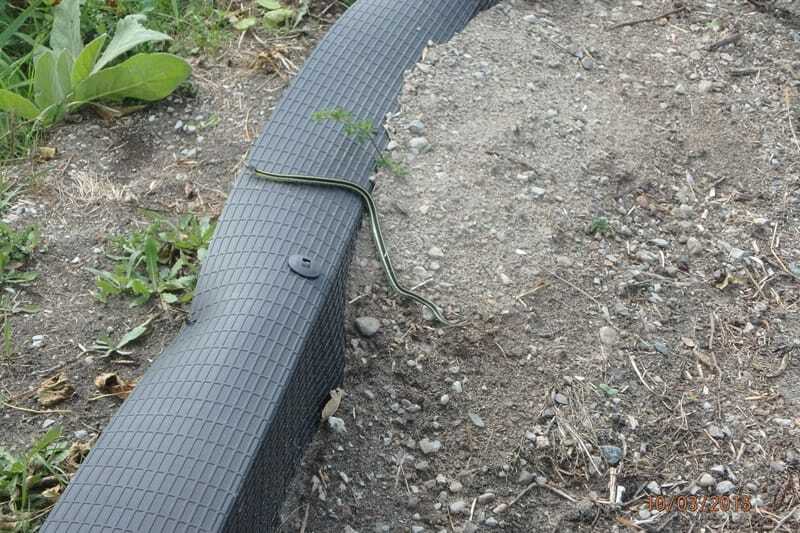 A fully functioning system with wildlife exclusion fencing and crossing permeability is crucial.